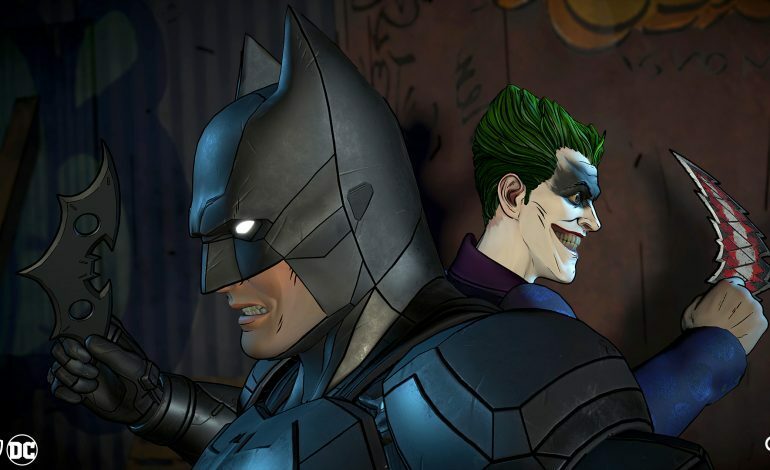 The folks at Telltale Games have finally announced their highly-anticipated finale for Batman: The Enemy Within, due out March 27. Episode 5, titled “Same Stitch”, will not only conclude the game’s storylines and (hopefully) tie up all of the loose ends, it will also be the largest and most complex episode of any Telltale game ever. As we can see, the choices made by the player over the course of the entire game up to this point will determine which story he or she will get to experience, as well as which version of John Doe a.k.a. The Joker they’ll be dealing with. If you’ve been pushing back and butting heads with your clowny adversary all along, then you’ll encounter the familiar face of a villainous Joker who seeks to destroy you and everything you love. But, if you’ve chosen instead to cooperate and pal around with your green-haired partner, then you’ll be teaming up with a unique vigilante Joker that’s quite unlike any other version of the character seen in a DC property before. According to Telltale, Same Stitch contains three and a half hours of content spread across two completely distinct storylines that share, at most, only three overlapping scenes. Within each of these storylines there are even more and more variations, based both on decisions from earlier in the game as well as decisions made within the episode, making it the “branchiest” episode of any Telltale game to date. The episode tops out at a total of over 4,500 lines of dialogue across 38 characters, yielding a script larger than the combined scripts of the entire Dark Knight film trilogy.